The tabernacle base is made of wood recycled from the beams of the old church. 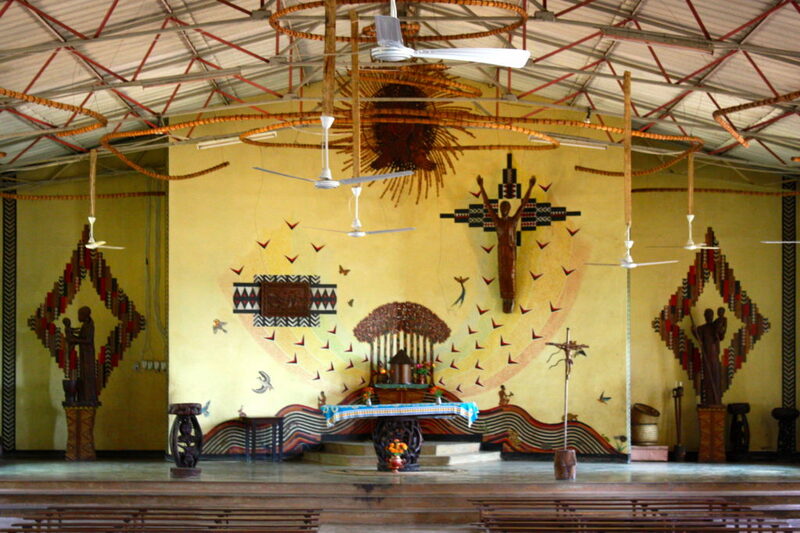 The original was the idea of Joseph Kuppens and Georg Messer, and executed (like the tabernacle) by Arkadio Siwinda, but the decoration is Claude Boucher’s. The tsekere grass adorned the pre-existing altar. However, the addition of ‘mpheko’ (rubbing sticks) suggests the disruption of Creation after the Fall, such that Man now has to exert himself for sustenance. 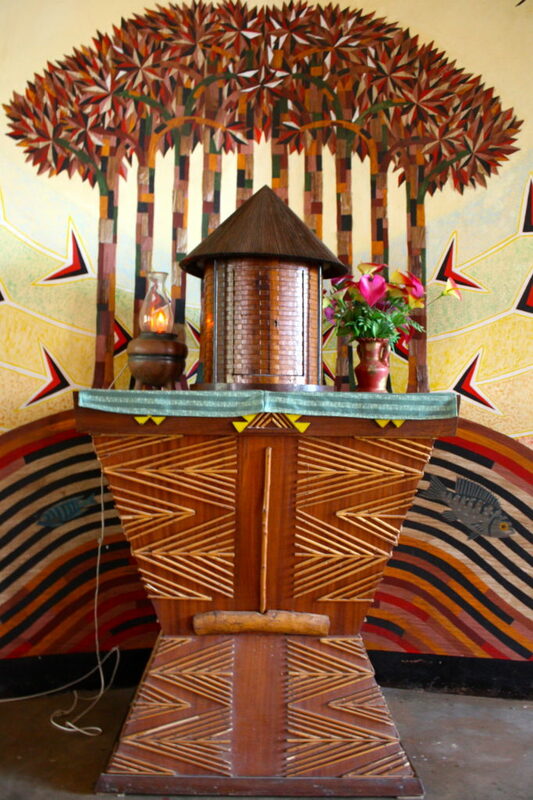 Behind tabernacle and tabernacle stand there is an image of a sacred grove (the work of Claude Boucher and Patricio Tambala Mponyani).